It has been a busy year for the Lucid team. A number of amazing new keys have been released and the popularity of the mobile app continues to inspire us to create bigger and better things in 2015. One example has stemmed from key authors and users of the mobile app who have expressed the desire to capture observational data. Thanks to a project with the International Rice Research Institute (IRRI) and their Lucid based Rice Doctor app we are working to bring this to fruition. The Lucid mobile app will be a compelling solution, combining state of the art identification with user friendly data capture options. We’ll report more details of this early in 2015. We’d also like to thank all our users whose continued support and feedback have made 2014 so successful. Expect new and innovative developments across our entire range of tools next year. 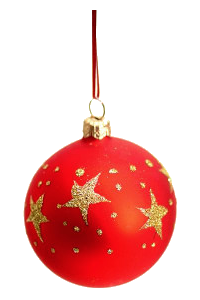 We wish you and your family all the best for 2015. 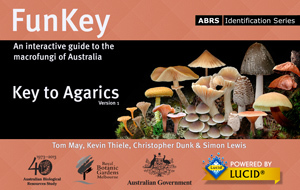 FunKey: Key to Agarics, an interactive key and information system for the genera of agarics occurring in Australia. Agarics are the gilled fungi, colloquially referred to as mushrooms and toadstools. Find out who created FunKey and how the data were compiled. 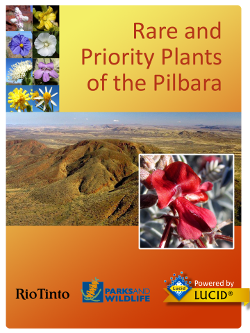 Rare and Priority Plants of the Pilbara (mobile app edition) This field guide and identification tool for 183 Threatened and Priority flora known from the Pilbara bioregion includes all species currently listed as conservation taxa by the Department of Parks and Wildlife as well as species not yet recorded from the region but likely to be found there. 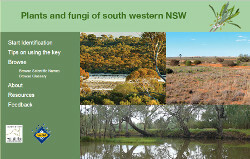 Developed as a collaborative project between Rio Tinto Australia and the Western Australian Herbarium, Rare and Priority Plants of the Pilbara provides the most comprehensive and up-to-date information available on these rare and important plants, and will provide a useful guide for environmental consultants, botanists, industry environmental officers, conservation planners and others with a need to understand the flora of the Pilbara. Since all information is packaged in the Lucid Mobile app, Rare and Priority Plants of the Pilbara can be used in the field in remote localities without web connections. 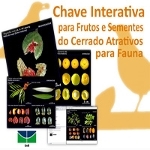 Each species is represented by a profile page including vernacular name, a botanical description, spotting features, and notes on ecology and distribution. All species are illustrated with the best available images, and current distribution is mapped. 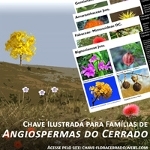 Species profiles can be accessed by taxon name and filtered by botanical family or using simple features such as habit, flower colour and habitat. 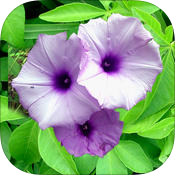 Suburban and Environmental Weeds of South East Queensland is now available as a free iOS app via the iTunes store. Suburban and Environmental Weeds of South-East Queensland is an invaluable resource to advisors, researchers, students, landcare and bushcare volunteers, weed control officers and anyone interested in learning more about the weeds of south-eastern Queensland and north-eastern New South Wales. If you would like to get a feel for how a Lucid Mobile diagnostic key works, please look at a YouTube video that has been created by the MyCrop team in Western Australia. They have already developed three apps for Wheat, Barley and Canola, as previously reported, and now have plans to develop similar apps for other crops. You can access the online version of these apps from the WA Department of Agriculture and Food website. Don't forget to update to the latest Lucid Builder available on Lucidcentral.org. This update addresses a number of changes to the Java Runtime Environment (JRE) and contains the latest Java security certificates. Also update to the latest JRE, free from www.java.com. You can check if you're update by clicking here.